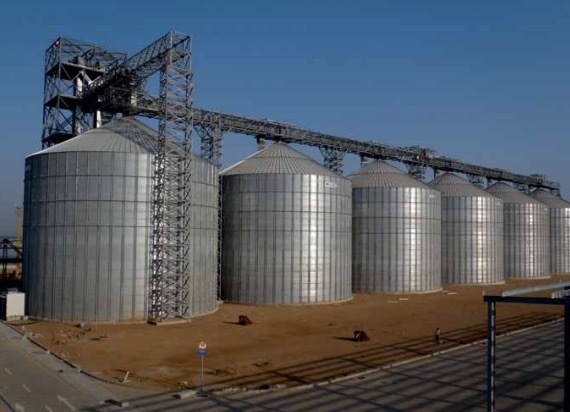 Chief Industries UK Ltd has announced it will be manufacturing the tried-and-tested Chief grain storage silos at its European facility beginning in October 2015. The silo will be manufactured at the Chief facility in France and will be produced to the latest EUROCODE criteria. The silo will be available as standard in capacities from 80m3 to 15,000m3 from the European facility, and up to 27,000m3 on special order. The ‘W’ stiffener is nearly twice as strong as the closest competing silo. Designed to support the vertical load, the unique ‘W’ staggered stiffener system provides supplemental strength and fully supports overhead catwalks and conveyors. The 120mm x 11mm profile of the shallow form corrugated sheets minimizes the build up of residual grain on the silo wall during unloading.